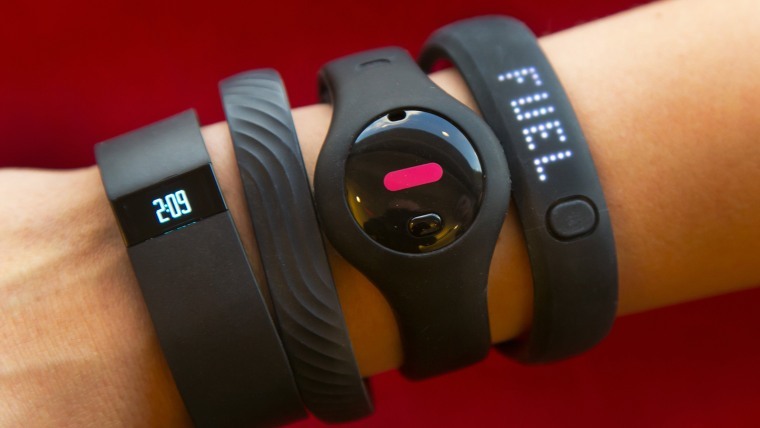 Are you on team fitness tracker or team smartwatch? In the battle between the two wearable technologies, it turns out there may not be much of a competition after all. According to a new report by market research firm NPD Group, 36 percent of people who own fitness trackers in the U.S. are 35 to 54 years old and are predominantly women. In contrast, more than two-thirds of smartwatch owners are male and between ages 18 and 34. There's also a divide between the average income of each device's owners. According to NPD, 41 percent of fitness tracker owners have an average income of more than $100,000, while nearly half of smartwatch owners earn less than $45,000. The survey, conducted in December, was based on 5,000 U.S. consumers ages 18 and older. "I think a lot of people have been saying that they expect smartwatch sales to start stealing from fitness trackers," said Weston Henderek, director of connected intelligence at the NPD Group. "We're not convinced of that." One reason behind the demographic divide is that fitness trackers are more mainstream than smartwatches, Henderek said. Whereas one in 10 U.S. adults owns a fitness tracker, smartwatches only have about 2 percent penetration, according to NPD data. Over the holidays, more than 2.5 million digital fitness devices were sold, according to NPD. That compares with only 250,000 smartwatches. Henderek added that many early adopters of fitness trackers were workout buffs who have since abandoned the technology, after finding they could monitor many of its capabilities on their own. As a result, the typical buyer has shifted more to those who are just starting to exercise. Smartwatch users, on the other hand, tend to be more tech- than fitness-oriented, he said. That's because fitness activities often take a back seat to the technology's other features. "There's a pretty big difference in terms of the reasons why people purchase [these] things," he said. "Sometimes when you get a younger demographic, even if their income is a bit lower, that doesn't mean they're not going to shell out the money for the latest and greatest device." Although Henderek said he doesn't foresee smartwatches overtaking fitness trackers in volume sales anytime soon, it could happen in the long run. He added that once the Apple Watch is released this year, it will make the technology more mainstream. Deborah Weinswig, executive director of FBIC research firm, sounded a similar tone in a note to investors. In it, she forecast that the Apple Watch will change the wearables' landscape. "In technology, and notably in wearables, it's not always the first to market who rules the perch," she said. "The winner is the one who offers a differentiated product and can effectively inform the consumer."